Ten years ago Manoj Dias felt the closest he ever has to dying. The marketing manager of a large financial institution, he had a panic attack and walked out of work, cut down by anxiety, insomnia and depression. 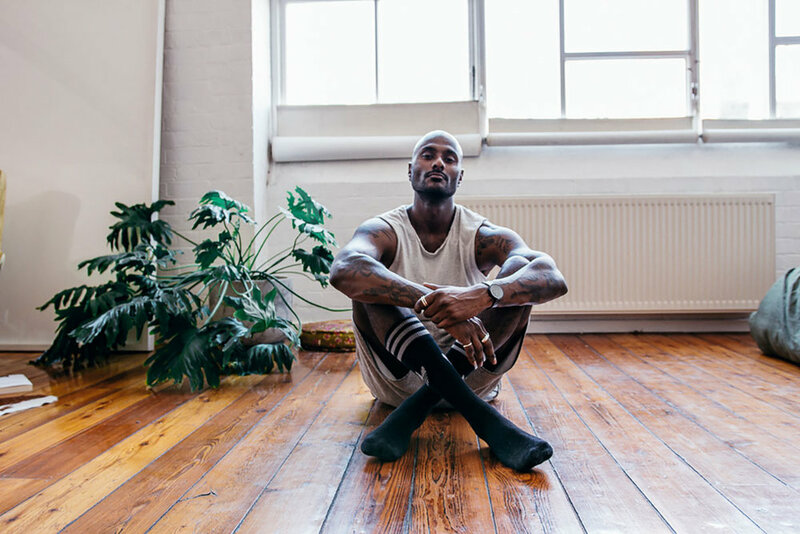 Now, through his multi-disciplinary meditation studio A-Space, he shares the experience of his healing journey to teach people how to live mindfully and fearlessly. I help people connect to their authentic self, from a place of presence and compassion so they can get in touch with their flow state. Meditation is an incredible tool for reducing stress and anxiety but it also opens you up to creativity and connection. At A-Space we bring the practice into a contemporary setting, integrating how to live, love and die mindfully and fearlessly. How did you get into meditation in the first place? What was the catalyst? I was the marketing director for a big financial institution and had a panic attack at work. It's the closest I've ever felt to dying. I had insomnia, an eating disorder, depression. I saw doctors, shamanic healers – was given a cocktail of drugs – before a friend suggested I do yoga. I went because he said there would be lots of hot girls there! But he took me to a Buddhist meditation teacher who kept saying, "You are not your thoughts". In that class I witnessed my thoughts for the first time and learned about Mindfulness. I studied with him for five years and made plans to be a monk. But you became a yoga teacher instead? Yeah. When I came back I met a girl who was doing yoga teacher training. I was kind of fell into teaching at Power Living in Fitzroy, but was so caught up in ego. I felt like I was losing my awareness. Why the switch to teaching meditation? I came to Yoga through Meditation but the catalyst was a serious hip injury that made me unable to practice yoga for 18 months, I travelled and sat with Jack Kornfield and Sharon Salzberg and dove deeper into the practice. I started chatting with a friend about making meditation more accessible, less entwined with yoga. People seemed to associate the practice with om-ing and incense and I wanted to show them that it could be used as a tool for creativity, connection and collaboration. A-Space started as a pop-up meditation series. During the courses people would connect, hang out and little communities formed. I thought it would be cool to create a place where they could gather. Things fell into place and now we're home to Australia's first multi-disciplinary meditation studio in Collingwood, Melbourne. My dream project is to have a number of spaces around the world. Modern day monasteries that integrate food, meditation and discussion, interlinked by an online platform where people with a similar spiritual intention can come together. What do you like about the practice? It makes me feel free. I'm not bound to my stress, I'm not lonely or lacking. I feel at home within my self. Teaching is a natural extension of that. When I'm sharing the knowledge that has been passed down to me I feel expansive. Western science says that meditation is important because it counters the mental and physical problems that are impacting our overall health. I think it's important because it teaches us to live authentically, with courage and compassion. You teach a lot in the corporate space. Why are you drawn to that? When I first started teaching meditation I was invited to speak at a conference for entrepreneurs, and the opportunity to deliver programs to businesses flowed from there. When you work in a corporate environment you're constantly expected to give more while operating on less sleep, a poor diet, a high level of stress. I used to teach from facts and research but I've started speaking more from the heart, so that people feel human. Watching the transformation that occurs when you give people a taste of what's possible. When you stabilise the mind you can access the heart. You become limitless. Find out more about Manoj and check out a class at A-Space – 5 Glasshouse Road, Collingwood, Melbourne.